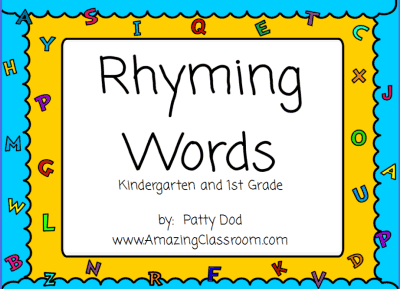 Your students will be sure to write, and identify words that rhyme with this highly interactive Promethean flipchart lesson from Patty Dod! This lesson incorporates tons of interaction with the board, including rhyming activities, containers, voting, and interactive games from the web! This flipchart was designed and best suited for Pre-K, Kindergarten, and 1st grades. Enjoy! 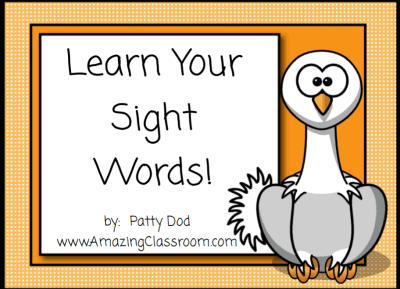 Your students will be sure to learn their sight words with this adorable, fun, and interactive flipchart lesson from our new teacher author, Patty Dod! Your students will use magic revealers to find hidden words, watch a video, and play interactive games to learn those necessary sight words needed to develop reading fluency. Page notes are included within the flipchart to help guide you in your reading instruction. 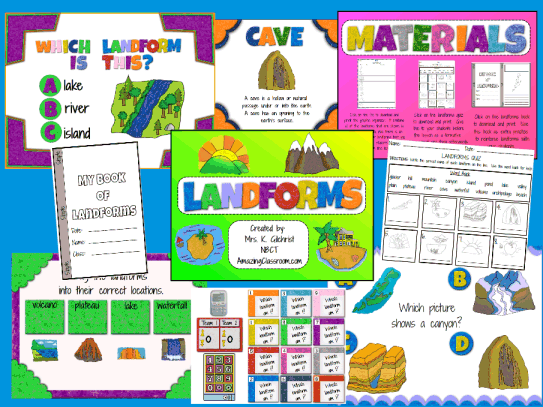 This flipchart lesson has everything you need to teach landforms to your students. It includes over 50 pages of interactivity, along with printable pdfs for formative assessment, reinforcement, and extra practice. Tons of voting along with graphic organizers, containers, games, and online resources. Make sure to read the page notes included by going to your notes browser. Directions are given on each page as how to best utilize the resources. 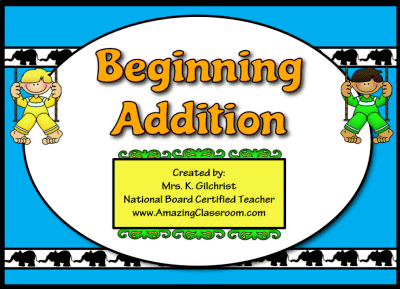 This flipchart will introduce your students to the concept of addition. They will learn how to add numbers under twenty to one another. The students have multiple opportunities to interact with this flipchart lesson. There are many container activities, links to interactive addition games, magic revealer pages, and multiple voting opportunities to use as formative assessment. This flipchart is 35 pages in length. With this flipchart your students will be sure to get extra math practice with this 25 More Days of Morning Work flipchart. Many of the problems are math oriented, with a little bit of language and grammar built in here and there. What an easy way to start your morning, just pull up the flipchart, turn the page, and let your students get to work. Enjoy! Your students will have so much fun learning all about ordering numbers with this highly interactive flipchart lesson. It includes multiple opportunities for students to interact with the Activboard and also includes voting, interactive games, and an activity page to assess their learning. 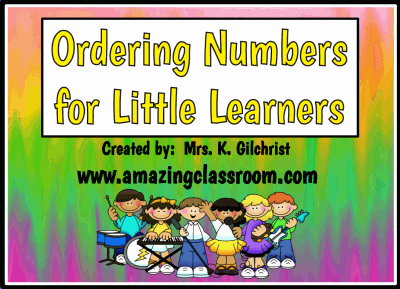 Your students will order numbers from 1-100, find five and ten more than a given number, and find numbers that are missing from a given set of numbers.Enjoy! 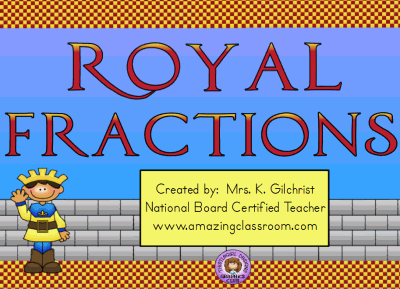 With this royal themed lesson, your students will be introduced to fractions and their parts. This lesson provides many opportunities for students to come to the board to sort the different fractions into given groups such as one-half, one-fourth, etc.. There are several voting pages to use with voting devices as well as links to internet fraction math games for extended practice. A PDF worksheet is also included for you to use as an assessment. Your students will love reviewing all of the math skills you've taught them with this fun flipchart lesson. The students will start at the beginning of a nine hole golf course and answer questions (strokes) along the way. 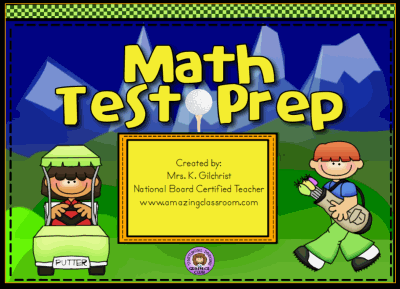 Some questions include: area, money, multiplication, word problems, angles, plus much more... A score card is included to keep track of their points, along with flags on the course to guide you along this math review journey. Your students will be able to identify the differences between similes and metaphors after this thirty page flipchart lesson. 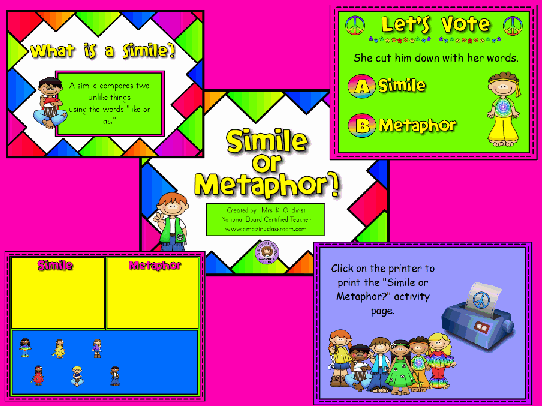 This lesson includes an introduction to both similes and metaphors and then follows up with some interactive activities and then twelve multiple-choice Activote or Activexpression questions. It even includes a simile or metaphor? activity page for your to print and give to your students as a pre and post test. Enjoy! 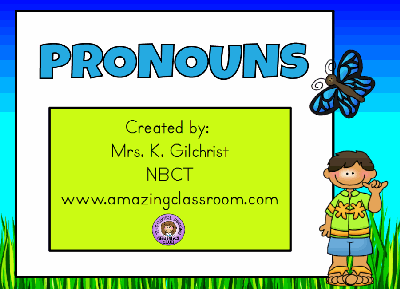 Your students will be able to replace common and proper nouns with pronouns after this flipchart lesson. The bright and colorful graphics, along with many opportunities for voting and interactivity, make this lesson appealing to your students. Page notes are included on each page that include directions for the teacher. This lesson contains container activities, voting, and internet games for multiple practice opportunities! Enjoy!